Mr. President and the First Lady!! Not sure why it took me so long to write this…but I think it was because I have been SPEECHLESS ever since Tuesday. Barack Obama is the President Elect of the United States of America, Michelle Obama is the First Lady, and they along with their daughters will be moving into the White House as the First Family! Never did I think I would see such a thing..Black folks in the White House (that aren’t cleaning)?! 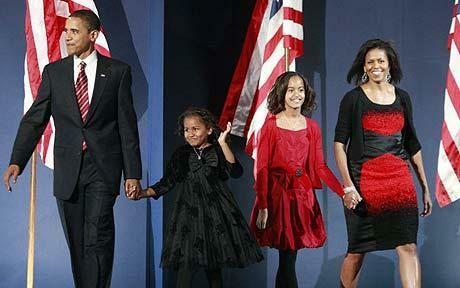 Aside from being elated that Barack and family happen to be Black…this is SO much bigger than race. The country…which consisted of all races and classes of people…elected Barack. 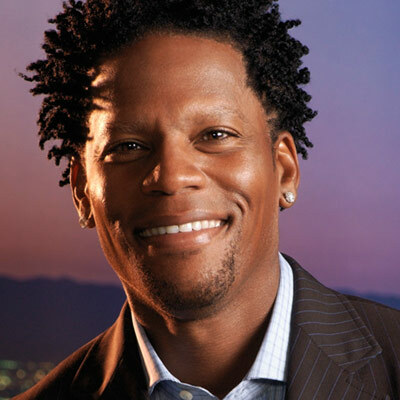 He was not elected because he was Black, but rather because he is extraordinary. He has moved us unlike anyone else has ever moved us, and brought us together in a way that has been unheard of. We have all been inspired, and Americans are excited about the idea of change and hope for the future of America. It’s a little extra special for Black Americans because now we really feel his mantra, “Yes We Can” after such a monumental achievement that has shown us that what we thought was impossible is possible. That’s why our people were doing the electric slide on Tuesday night in front of the White House and on 125th Street in Harlem…and I’m sure in many other cities in the country. Black folks ALWAYS break out the electric slide at any celebration…it’s just HOW WE DO! So it seems that “Republican women” are mad because Oprah won’t have Palin on her show and have called for a boycott of the Oprah Winfrey show that started on September 8th (yeah, I’m late!). Give me a break! 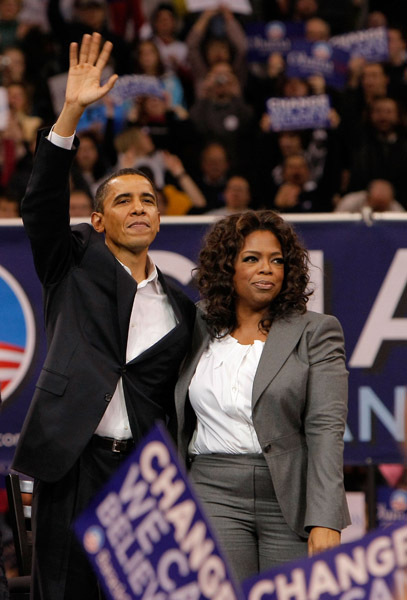 First off, Oprah endorsed Obama in 2007…and later said that she would not have ANY presidential candidate on her program during the election…but would have them on AFTER the election. Though Barack and Michelle Obama have been on her show before, it was NOT during the actual presidential election that is going on now. That means no Barack, no McCain, no Biden trying to utilize her program as a political platform during the election. Sorry “Republican women”…but that means Palin, too! Tyra did a fashion editorial for Harper’s Bazaar where she posed Michelle Obama as the first lady of the United States. Tyra looks phenomenal, and this man that’s supposed to be Barack is HOT! If come November they are the President and First Lady, we will have really come up! The New Yorker Cover – Satire or Just Plain Stank? You know I like the New Yorker and will pick it up from time to time, but Lord, what in the world were they thinking? I’m the first to be down with creative license, and I totally understand satire, which is what the artist said he was doing when he created this work to go along with a pro-Obama article that was included in the magazine. He said he was just calling attention to how the media has attached the Obama’s since the primaries. Didn’t the Editor know that the average American would not get that this was satire, especially since it doesn’t even have a heading which would indicate such? I’m thinking they purposely knew how it would be received and used the cover intentionally in hopes of selling more mags. I won’t be buying it. 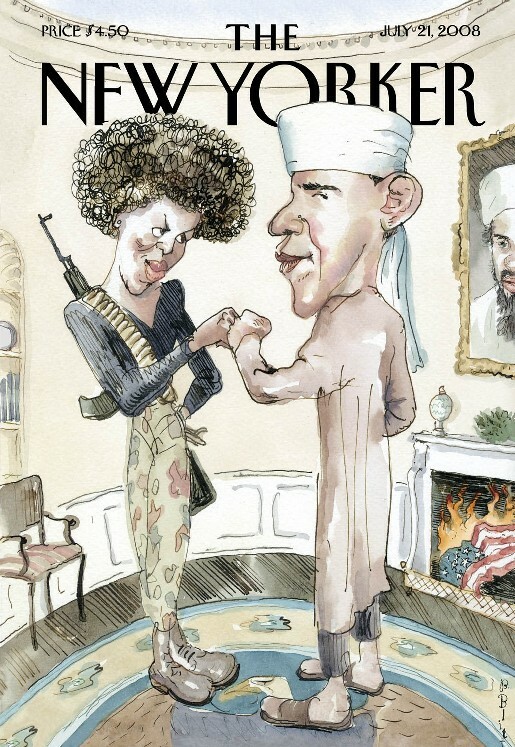 What’s VERY troubling to me about the picture, in addition to the terrorist and Muslim depictions, is the return of the attitudinal angry Black woman stereotype via Michelle’s tooted up lips, big afro, and AK 47! I’m realizing more and more every day that media is purposely utilizing the negative stereotypes of Black women to hurt Michelle Obama and ultimately Barack. 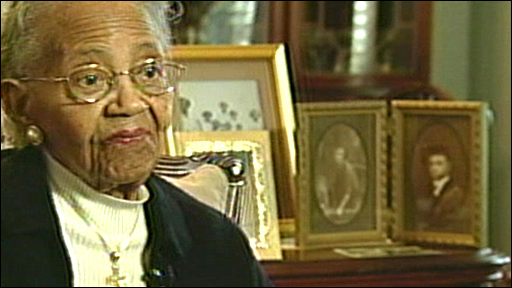 Let’s not forget, in addition to being an angry Black woman, she’s a “baby mama”! Michelle Obama Is A “Baby Mama”? Michelle Obama got attacked by the media last week…and of course, it was our “friends” at Fox News leading the way. By continuously calling our girl Michelle a “baby mama, ” they have once again disrespected Michelle, disrespected Black women, and shown how racist and out of touch they are. Since Michelle is married, she doesn’t quite fit the “baby mama” title, and how dare they even try to use racist stereotypes against our future first lady? As my friend Kari said, I’m just sick and tired of them even trying to use our lingo to sound cool while race bashing. Fox News, give it a rest! E.D. Hill of Fox News also called the fist tap between Michelle and Barack before he did the speech where he declared that he was the presumptive democratic nominee a “Terrorist Fist Jab”. Lady, SHUT UP! It’s giving dap…it can take the form of a fist tap, a hand slap, a high five…it’s no different from the giving dap that regular people do on a daily basis…it has nothing to do with terrorism. Do you even watch television? Are you so out of touch that you didn’t know, or is this just another way to equate Michelle and Barack with Islam and terrorism?